Traditional Turkish food with BYO and a massive $38 set menu. This Turkish delight in Enmore serves mezze fit for a king. 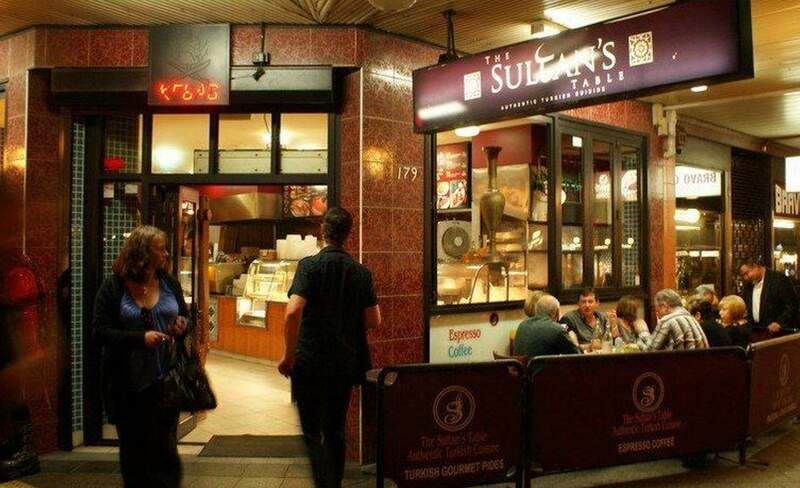 Come for the delicious suckling lamb ($20), sizzling adana kebab grilled over charcoal ($14) and authentic wood-fired pide. Start the meal with an assortment of dips in a rainbow of flavours ($22), which includes parsley, jajik (garlic), chilli, beetroot, carrot, spinach, humous and babaganoush, accompanied by a slab of oven-baked Turkish bread. Best part is that it's BYO — and they don't even charge corkage for the privilege. Finish with a strong, aromatic Turkish coffee and a syrupy baklava ($3) or head next door for arguably the world's best gelato at Cow and Moon.